The double sticky piston driver is an important component of many circuits that need to push nodes farther than just one block. What we have is two pistons, one in front of the other. Let's call them the front and back pistons. When powered, it pushes a node forward by two blocks. When unpowered, it pulls a node backward by two blocks. This is a pretty simple circuit, but there are a lot nuances to be aware of with regards to timing and ordering. For example, an extended piston cannot be pushed or pulled correctly since the stopper is out, and a sticky piston pulls when it receives an off signal, but not when it is dug. 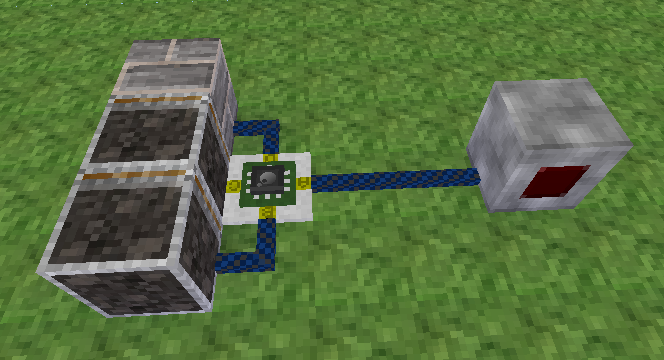 The back piston is powered, pushing the front piston and node forward one block. The front piston is powered, pushing the node forward one block. Pretty simple for now. How about retracting? The front piston is unpowered, pulling the node back one block. 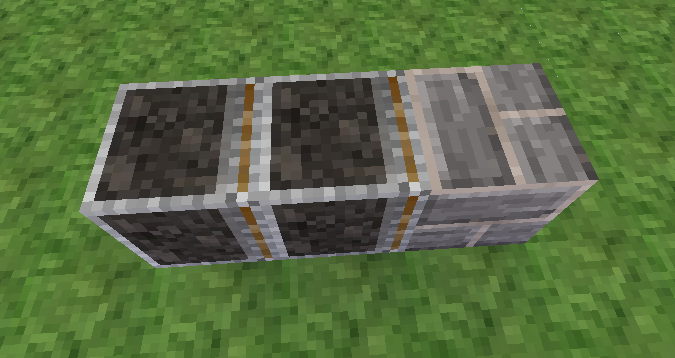 The back piston is unpowered, pulling the front piston back one block. The front piston is powered, touching the node. The retraction is a bit more complex since sticky pistons can only pull one block at a time. On the left we have the rear piston, on the middle, the front piston. To the right we find the node itself. I used cobble as an example. You'll notice that I connected the fourth, unused port to a switch. This will be our signal. When turned on, the circuit will perform the extension sequence. When turned off, the circuit will perform the retraction sequence. At the moment the circuit can be made significantly smaller, but we will cover that later. If you don't know much about Luacontrollers, you might find the Luacontroller tutorial handy. Port A is facing our switch. If you made it in a different orientation, simply replace the port names with their rotated equivalents. For example, port.b would become port.c in the code if you built the machine 90 degrees clockwise from the orientation used here. Congratulations! You now have a working double piston extender. 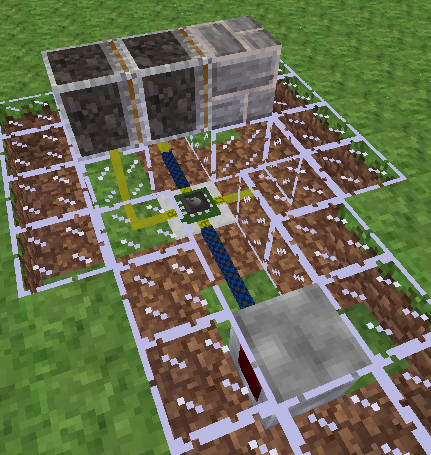 Here I've replaced a bit of the ground with glass to better view the circuitry. The possibilities are endless. Play around with the concepts and see what you can come up with! All files are available under the same license as this article. The WEM schematics can be loaded using the //load command in WorldEdit.